Nuclear Magnetic Resonance, Magnetic Resonance Spectroscopy, and Magnetic Resonance Imaging have resulted in Nobel Prizes to eight famous scientists. Other pioneers are also well-known, such as Raymond Damadian and Erwin Hahn. Yet one crucial scientist who helped establish nuclear magnetic resonance is less know: Herman Carr. 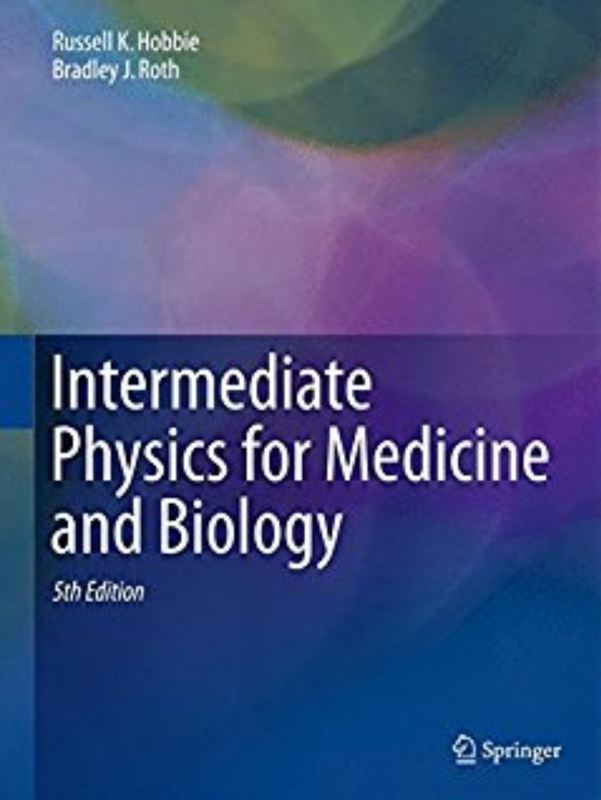 Russ Hobbie and I mention Carr in Intermeidate Physics for Medicine and Biology in the context of a well-known MRI technique: the Carr-Purcell sequence (see Section 18.8). This sequence consists of a 90-degree radio-frequency magnetic pulse that tips the proton spins into the transverse plane, followed by a series of 180-degree RF pulses that form spin echos (I discussed spin echoes in this blog previously). Herman Carr (1924-2008) grew up in Alliance, Ohio (about 60 miles east of the town where I attended my junior year of high school, Ashland, Ohio). He was a sergeant in the US army air corps during World War II, serving in Italy. He earned his physics PhD in 1953 from Harvard under the direction of Purcell, and spent most of his career at Rutgers University. Carr is best known for his early work on magnetic resonance imaging. In this PhD thesis, he applied a magnetic field that varied with position and produced a one-dimensional image, thus introducing the use of magnetic field gradients for MRI. This idea was later developed by Paul Lauterbur. The gist of the method is that the magnetic field varies in space, and therefore the Larmor frequency of the proton spins varies in space. If you measure the magnetic resonance signal and separate it into different frequencies (Fourier analysis), each frequency component corresponds to the signal from a different location (see Section 18.9 of IPMB). A controversy arose about the MRI Nobel prize to Lauterbur and Mansfield. Some claim that either Damadian (who did medical imaging without gradients) or Carr (who used gradients but did not do medical imaging), or both, should have shared in the prize. This is primarily a historical debate, about which I am not an expert. My impression is that while Lauterbur, Mansfield, Damadian and Carr all deserve credit for their work, the Nobel committee was not wrong in singling out the two winners. Nuclear resonance techniques involving free precession are examined, and, in particular, a convenient variation of Hahn's spin-echo method is described. This variation employs a combination of pulses of different intensity or duration (“90-degree” and “180-degree” pulses). Measurements of the transverse relaxation time T2 in fluids are often severely compromised by molecular diffusion. Hahn's analysis of the effect of diffusion is reformulated and extended, and a new scheme for measuring T2 is described which, as predicted by the extended theory, largely circumvents the diffusion effect. On the other hand, the free precession technique, applied in a different way, permits a direct measurement of the molecular self-diffusion constant in suitable fluids. A measurement of the self-diffusion constant of water at 25°C is described which yields D=2.5(±0.3)×10−5 cm2 /sec, in good agreement with previous determinations. An analysis of the effect of convection on free precession is also given. A null method for measuring the longitudinal relaxation time T1, based on the unequal-pulse technique, is described. This paper was named a citation classic, and excerpts from Carr’s reminisces (written in 1983) of the paper are reproduced below. In the fall of 1949 at Harvard University, I began reading about nuclear magnetic resonance (NMR) under the guidance of E. M. Purcell. In early November, Purcell read E. L. Hahn’s historic abstract about the fascinating phenomenon of ‘spin echoes.’ Purcell suggested that I try to understand this effect. During Christmas recess I traveled to a student conference at the University of Illinois where ... I made a visit to the physics building where Hahn showed me his laboratory—a cramped hallway at the top of a high stairwell. There for the first time I saw spin echoes and learned about their discovery. Hahn had explained his echoes using a model involving only equatorial components. Purcell suggested using a three-dimensional model, and this greatly simplified the understanding of the relatively complicated echoes associated with Hahn’s equal pulses. It was during lunch one day in the spring of 1950 that I realized the explanation could be simplified even more by using two unequal 90°and 180°pulses, and indeed a sequence consisting of a 90° pulse followed by a series of 180° pulses ... By the end of the summer of 1950, we had seen our own echoes at Harvard. The 1954 paper—drafts of which were written in a cabin on a Cache Lake-island in Ontario’s Algonquin Park — included work done both at Harvard and using, in 1952- 1953, Henry Torrey’s excellent new magnet at Rutgers University. In addition ... the 1954 paper included an explanation of the effect of a 180°pulse in partially eliminating the artificial decay caused by diffusion in an inhomogeneous magnetic field ... The absolute value of the water self-diffusion coefficient D reported in the paper was measured at Rutgers using “anti- Helmholtz” coils to obtain the nearly uniform gradient ... To the best of my knowledge, this was the first use of intentionally applied gradients to obtain spatial information. An obituary of Carr is given here.